As we approach the end of the year, life can get very challenging. If you are heavily involved in Christmas and New Year preparations, this time of the year can actually be very exhausting. The tips and advice I will share with you today are applicable for all year round. Whatever your plans are for the holidays, ensure you are organised. This will stop you from having to battle with short tempered, stressed out shoppers in shopping malls. Always make a “to do” list because this helps you plan ahead and prevents you from forgetting items. Plus you stick to a budget. When life appears to be getting too much, stop and breathe Somatically. In order to stay calm and centered, we need to ensure our parasympathetic nervous system is working efficiently. We can slow down the stress response in our body by breathing deeply and slowly to create the ‘rest and digest’ actions in your body. When I refer to breathing somatically, I encourage you to notice the movement and actions of your body as you breathe in and out. 1.The movement of your belly, chest and rib cage as you inhale. Notice how it relaxes back to its resting point as you exhale. 2.Notice the temperature of the air as you inhale and exhale through your nostrils only. What is the air temperature in your nostrils as you inhale? What is the temperature as you exhale? We know academically what it will be, but we want our SOMA (mind and body) to start sensing and feeling this information. This way we continue to stay present and in the moment. 3.Notice how your mind starts to quieten down. Reducing the racing thoughts and ideas with every out breath. If this is a challenge, just listen to the sound you make with your breath as you inhale and exhale. 4.If you are lying down on your back, with every exhale can you allow your body to become heavier on the ground? Can you allow your body to relax with the aid of every exhale. 5.Can you breathe in for 4 counts and out for 4 counts? Slow your breath rate right down. 6.As you start incorporating Somatic breathing into your day, try setting your timer for 5 minutes every evening. In this audio I guide you through a somatic breathing sequence which includes a somatic movement of your pelvis to relax back and abdominal muscles which can tighten during stressful periods of time. We all rely on man made devices and they have made our lives much easier. But in some ways they have also added extra pressure on us. We can be available 24/7 if we allow it. We surf the internet whilst watching TV, which create a ‘busyness’ for our minds. This is where we need to stop and literally smell the roses. We should make an extra effort to leave the artificial lights and technology and go outside. Even if it is a cold wet day. Wrap up and enjoy the fresh air. Sometimes walking in nature or just around the block can help diffuse any stress or tension we have felt during our day. The immune and mood boosting effect nature has on our SOMA (mind and body) are amazing. So don’t allow your time off work to affect your peace of mind. Get outside and wind down. Learn to say No. It is important that you care for your health and well being. By setting boundaries, you are able to dedicate time for you. This may include your daily somatics practise, a somatic mindful breathing session, a quiet walk or an early finish from work. When it comes to activities over Christmas and New Year, set boundaries. Don’t allow yourself to be racing to too many invitations. Put a value or worth on yourself, so don’t allow family friction and other people’s opinions affect your emotional health. If the atmosphere is becoming toxic, remove yourself from the situation before things get out of hand. Go for a walk and leave the situation. Allow the situation or event to settle down. Improve mind to muscle connection. When we are stressed, hassled, in pain or limited with our mobility, we can start to move stiffly and reduce the amount of activity we do. Pain scientists have discovered that mindful movement is paramount for reducing pain and empowering a person to take back control of their health and well being. Somatics fits beautifully into this area of pain science and movement. Somatics is mindful movement to reduce pain, increase mobility, improve posture and one’s quality of life. Total Somatics (www.TotalSomatics.com) combines mindfulness techniques with gentle movements to change the way your brain communicates with your body. It is superior to stretching in the sense that it reduces the level of muscle tension by changing the way the brain is communicating to the muscle. When you stretch, you are merely stimulating a spinal cord reflex, there is no cortical or brain changes with stretching, it is passive. Whereas PANDICULATION is an active process which is created with somatics. I often liken the analogy of a a piece of string with a knot in the middle. If you want to release the knot, would you stretch the string both ends? No, the knot will still be there. In order to release the knot or tension within that piece of string, you have to work into the area of tension or “the knot” in order to release it. It is exactly the same with Pandiculation. In Somatics, we PANDICULATE the muscles. So we work into the area of tension with a contraction, after that we slowly release and then completely relax to allow the brain to absorb the changes we have created. I have created the online programs entitled ‘Movement Patterns.’ This is part of the Mindfulness with Total Somatics series. 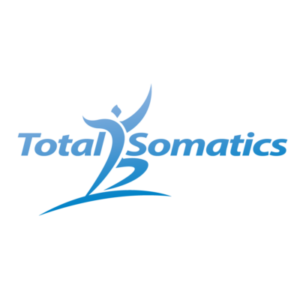 Total Somatics is the first structured online program in the world and thousands from around the globe have embraced Total Somatics and incorporated the principles I teach you as well as the somatic movements, into their daily lives. So as you relax this holiday season, take time out for yourself and start planning how you can implement a self care plan to improve your health and well being for the new year ahead. 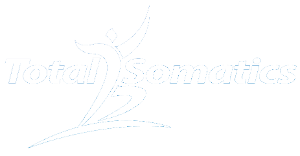 Total Somatics will teach you lifestyle skills and techniques to help you improve posture and mobility, reduce pain, teach you mindfulness skills and somatic breathing to relax and restore your body during and after a stressful day.